Wildlife Mississippi magazine regularly publishes plans for building nest boxes for various bird species, bat roosting houses and other projects to benefit wildlife. Below are links for downloading and printing a dozen such plans. More plans will be added periodically. 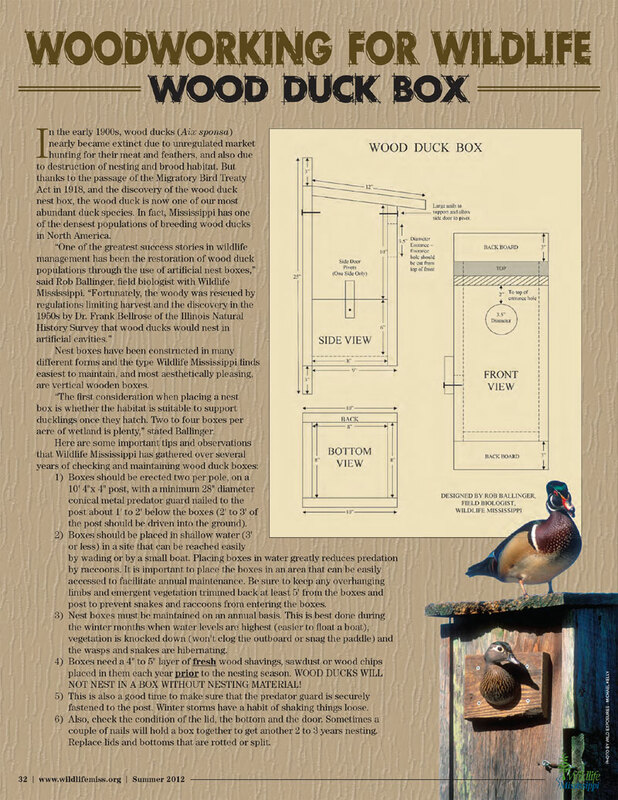 Download Osprey nesting platform plans.